You are who you are because of grace! We are a little over three weeks into the New Year, many of us have made resolutions. The most common resolutions are to learn a new skill or hobby, quit something that is not good for them, become thinner, and live healthier lives all in the promise that life will be better. But statistically over half of those who made a resolution have already given it up before the end of January. There is actually a name for that day it is “Quitters Day” the second Friday of January, the day we lose out motivation and return to old habits. Why do we every year decide that Jan. 1 is the one and only day to make a change and if we have a bump in the road we have failed and it is all over, we must wait again until next year. I want to assure you that God has given us the grace and opportunity to start anew each and every day, 2 Corinthians 5:17 tells us “Therefore, if anyone is in Christ, the new creation has come; the old has gone, the new is here!” We can be new in Christ every day. The question I have is why? Why do we as a nation think that we have to change who we are to fit into a specific box, to be like everyone else. Now, if change is to live a healthier or a more abundant life I get, that but I don’t think that is what we as a nation are trying to do. What defines you? Job title, house, car, money, clothing, or who we know seem to be factors that define who we are as adults and trophies, medals, award assemblies, athletic banquets, standardized tests, report cards, chore charts, and behavior stickers in many ways define our children. The overwhelming message we get is that we are who we are because of what we do! But that message is very different from the Bible’s. In 1Corinthians 15:10a, Paul writes, “By the grace of God, I am what I am.” You are a special and unrepeatable gift of God to this world. Even if someone were to show up with the same physical characteristics as you, that person would not be you. Who you are has never lived before and will never be created again because you are that special!! We are who we are because of God’s grace. That is the message we should start every day with you are who God says you are and that is His beloved child! No matter how old you are there are a few simple words that I pray you never forget, what God says about you is more important than what others say. So if you are trying to change to fit into the world you need to remember that God has fashioned you. You are not an accident or an afterthought. God created you on purpose. Made in the image of God that we might be a community of love, peace, and justice on Earth. The message of grace is that what we do and should define us as Christians. What God determined for us through the work of His Son Jesus makes us who we are! May God bless you with the knowledge that you are a blessing and may you be an example of His grace to the world. 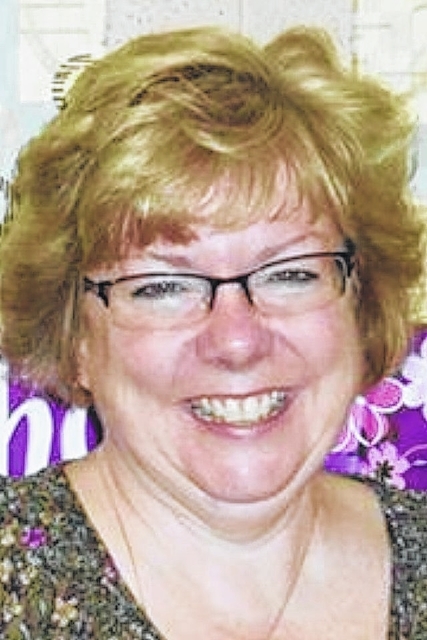 The writer is the children and family pastor at Sidney First United Methodist Church in Sidney.